Hi! 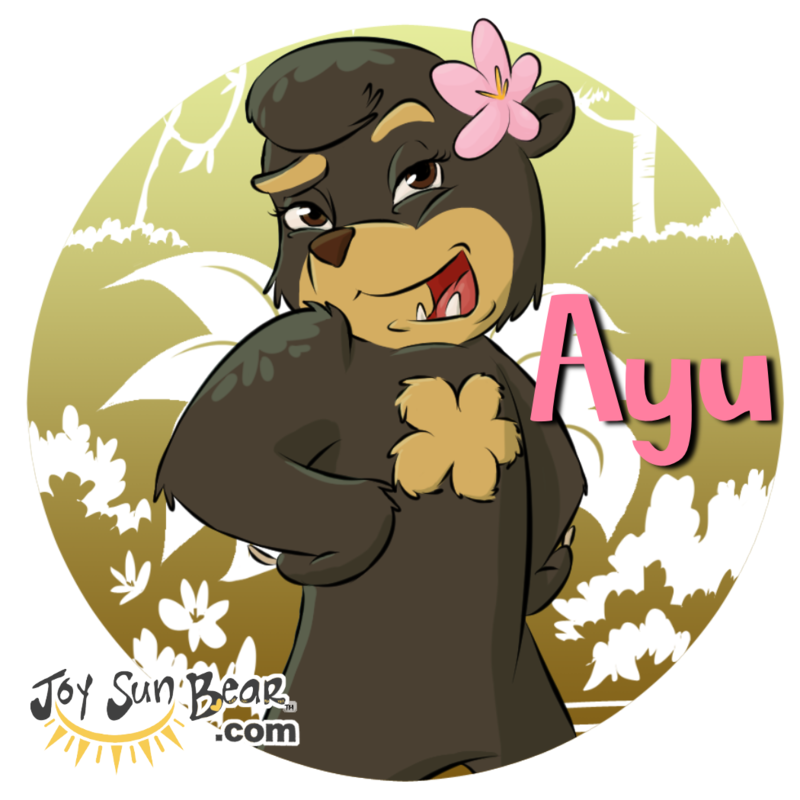 I'm Joy Sun Bear! 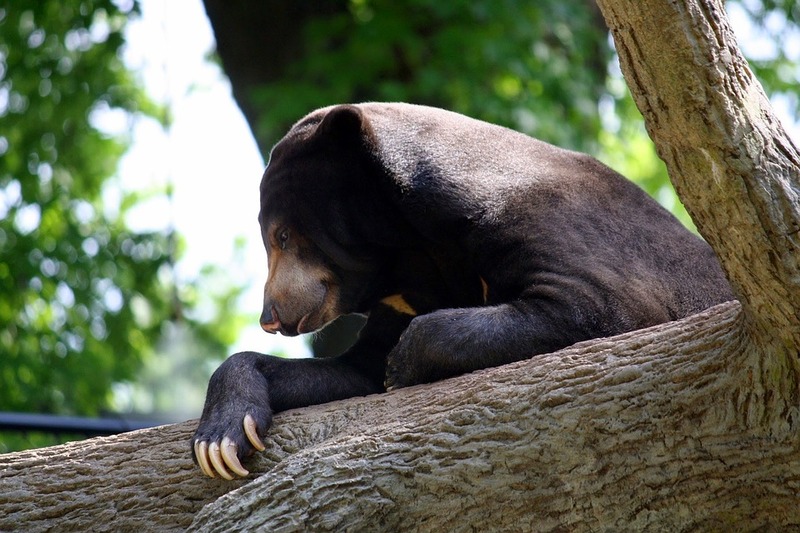 I'm a curious and playful sun bear from an island called Sumatra. It's part of Indonesia, a big group of islands between Australia and China. I like learning new things and making new friends. That's one of the reasons I love to travel the world! I enjoy visiting different countries and learning about the cultures there. Then, I share all that with you, my newest friends, in my Travel Journal. Come read about all my adventures and the fascinating people I meet around the world. 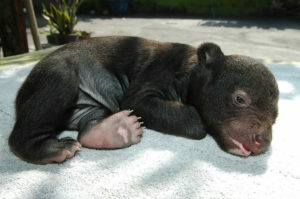 How does this sun bear cub get around so fast? Well, I'll tell you! I've got a magical red hot air balloon! I know, sounds weird, right?! 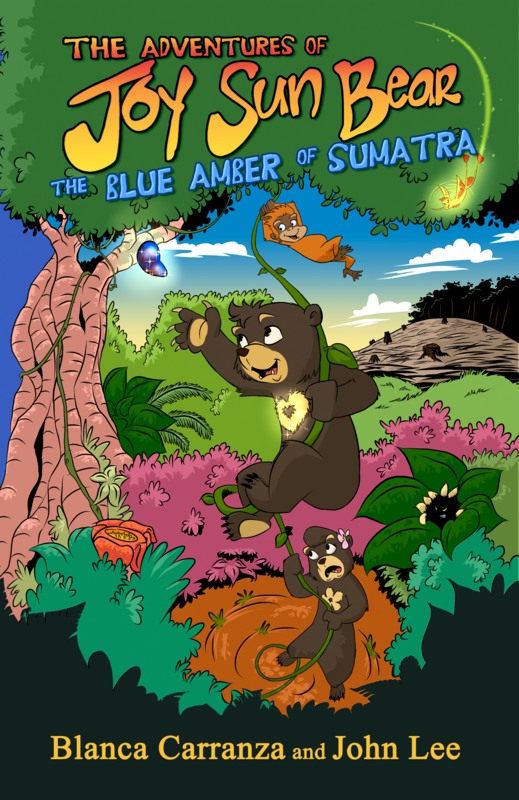 You are probably thinking, "how is a sun bear cub from Sumatra going to find and use an air balloon?" Well, there's a great story behind how I got it, and you can click here to check out my new book to learn more. 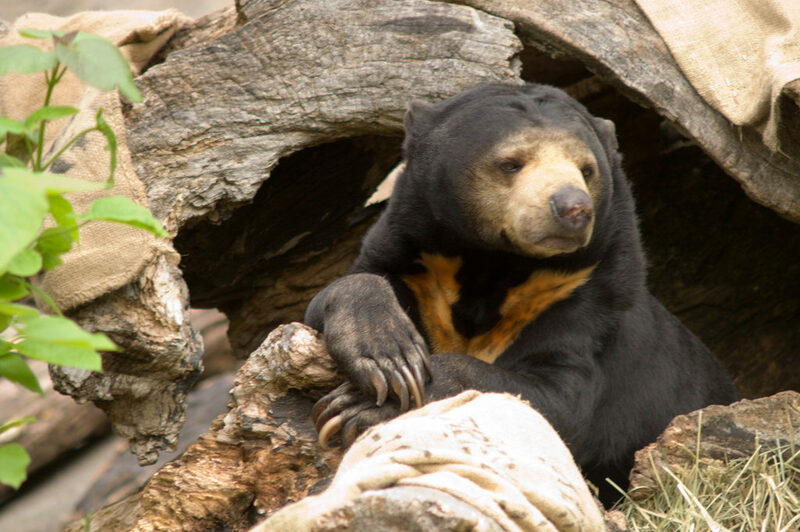 Sun bears are the smallest bear species. We live in the tropical areas of southeast Asia. We have a light patch of fur on our chest. We are known for our extra long claws. 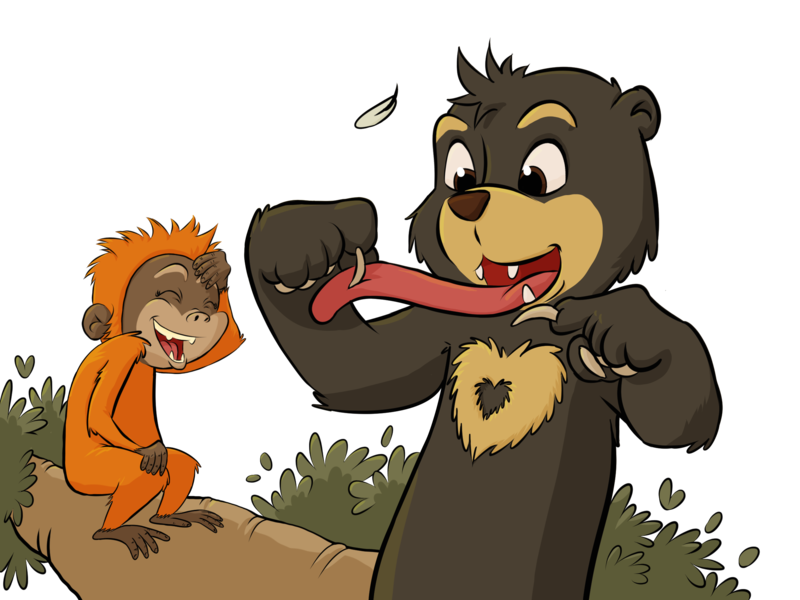 We also have the longest tongue of any bear. We do not hibernate, and like to climb trees to find places to rest. We love to sleep in the trees and make canopy nests made by folding leafy branches over one another. 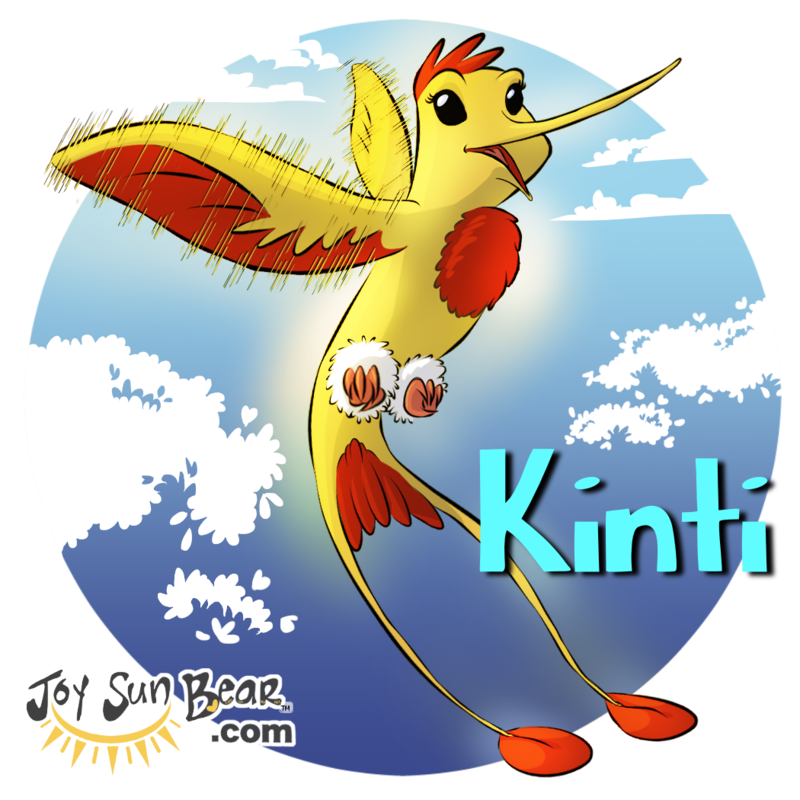 Some of my other favorites foods to munch on are fruit, termites, little birds, rodents and lizards. But, as you already know, I think the yummiest treat of all is HONEY! 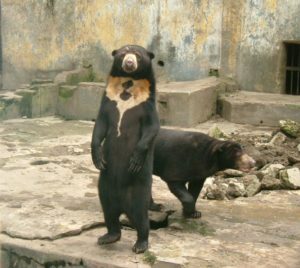 That explains why sun bears are also know as honey bears. Our cubs are super cute! Meet the Cast of Characters from our book! 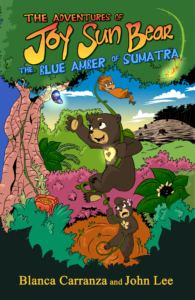 Kids can learn about Joy and all the characters in our new book, The Adventures of Joy Sun Bear-The Blue Amber of Sumatra through fun character profiles they can color. 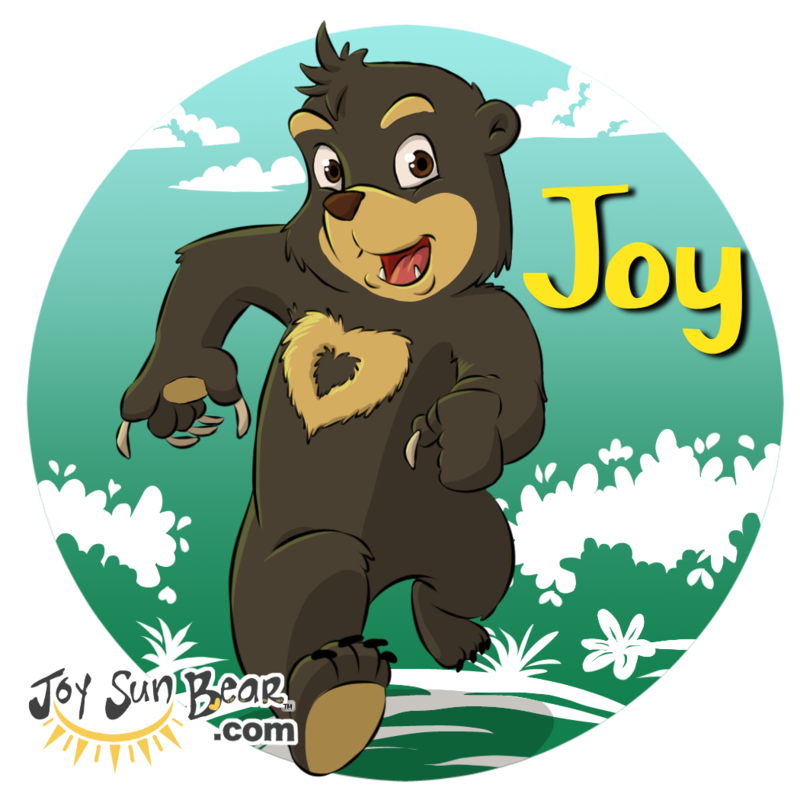 Children can discover each character's unique personality, likes, dislikes, and create your own character to join Joy on his next magical adventure! 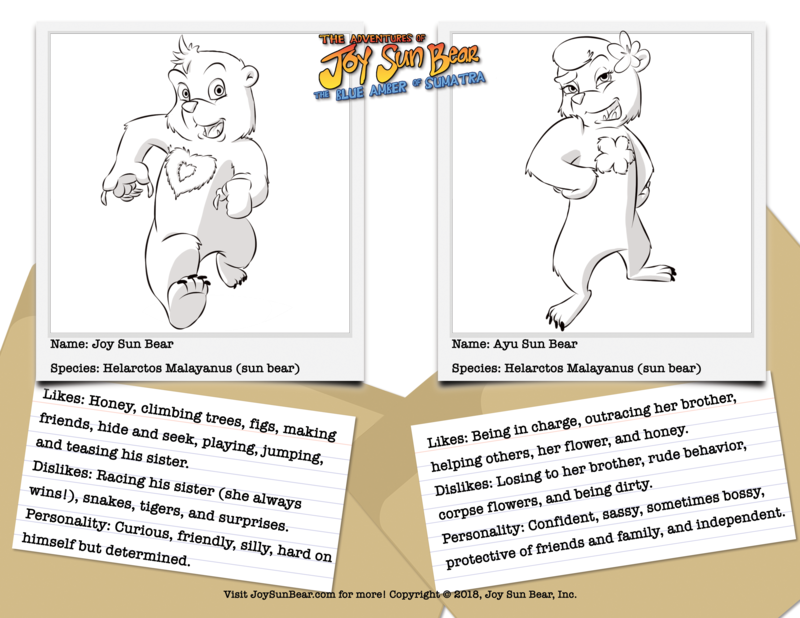 Click here to register and receive these creative activities for FREE instantly! 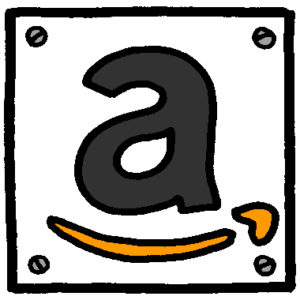 You will also gain access to a fun crossword puzzle to test reading comprehension.